Three or more casement window styles can be arranged in a shape or style to suit your project. 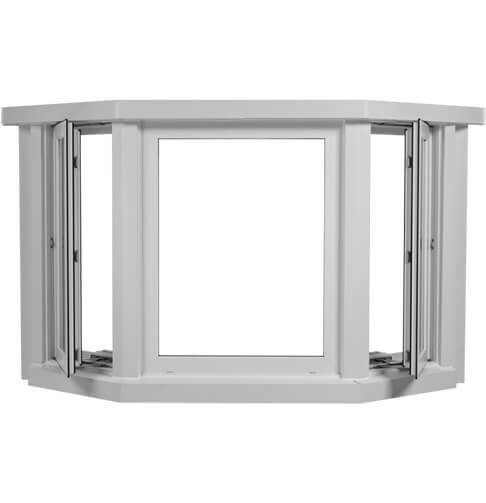 All Clear Edge uPVC Bay Window arrangements are A+ rated as standard for superior heat retention. 70mm frame depth from front to back. Significant noise reduction with double-glazed sealed units. Safe and secure beyond current security standards. Smooth weld joints for the most modern look. Low maintenance & guaranteed to retain appearance. A rated energy efficiency for excellent thermal efficiency.